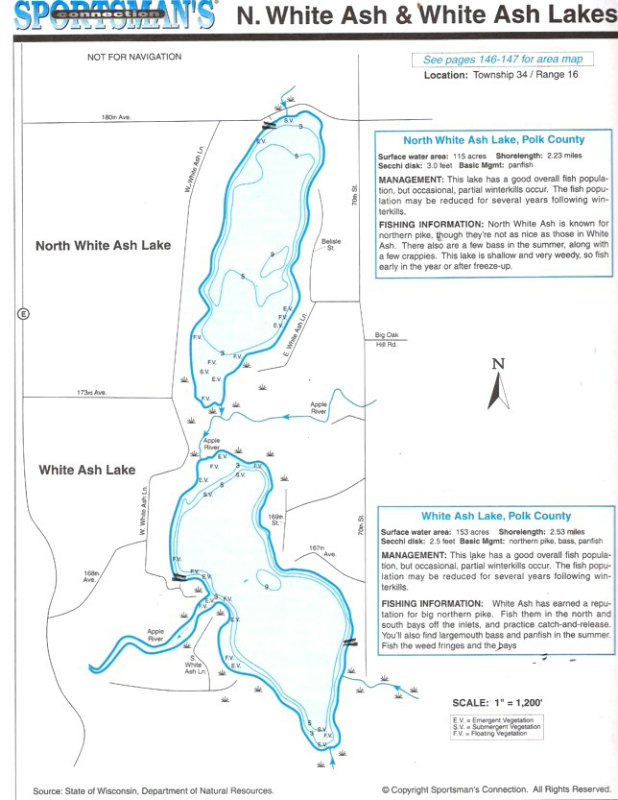 There is both North White Ash Lake (115 acres) and White Ash Lake (153 acres) but you will hear many refer to them as Upper and Lower White Ash. They connect with a channel and then it goes out to the Apple River. 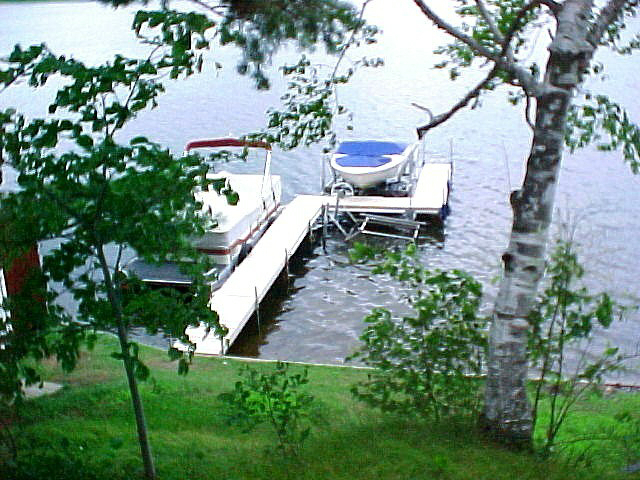 You normally can pontoon between the two lakes but you will need a canoe to go very far down the river.